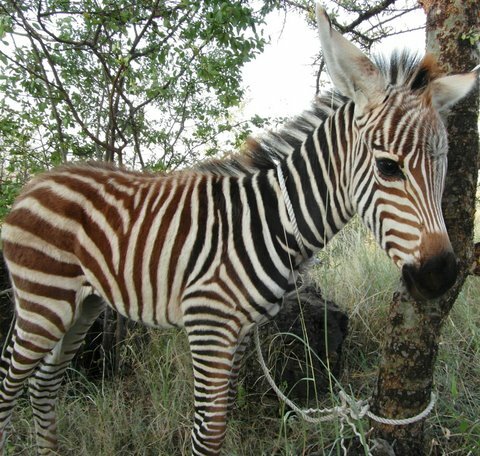 A Baby zebra was rescued by the community down to the village after falling into a hole and losing its mother. It was brought to the headquarter of the trust and they tried 4 times to re-introduce it to its mother but she was not found anywhere. 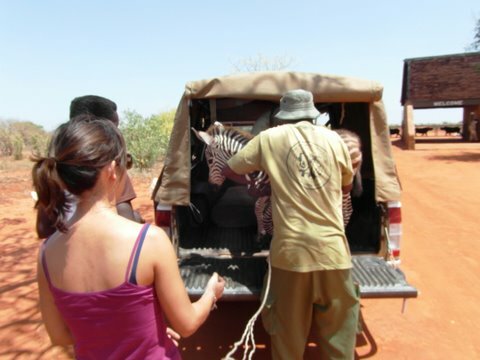 After that, they took it to Voi and handed it over to the Sheldrick trust for looking after.